“Malaika is a good artiste no doubt about that fact. He has been supporting Felabration even without money. As an artiste, you should not always think of money every time. Malaika has been there for us every year. His performances are brilliant. I believe he will be K1’s successor in Fuji Music”, Femi said, while performing with Malaika on the stage. It was the first time Femi Kuti and Malaika would perform at Felebration. During the event, the Afrobeat star suddenly came from backstage to join Malaika on stage with his saxophone. His skills amazed the audience as they asked for more. “I was very surprised when I saw Femi Kuti on the stage with me. I appreciate that a lot. It goes a long way in my memory as a Fuji musician. That tells you as an artiste you are on the right track”, Malaika said after his performance. He has always been part of Felabration every year. Despite the Ebola scare which threatened a cancellation, the annual festival to honour Fela’s memory recorded another resounding success. The stakes continue to go higher in the annual festival – Felabration – conceived to keep the memory of iconic musician, Fela Anikulapo-Kuti, alive. 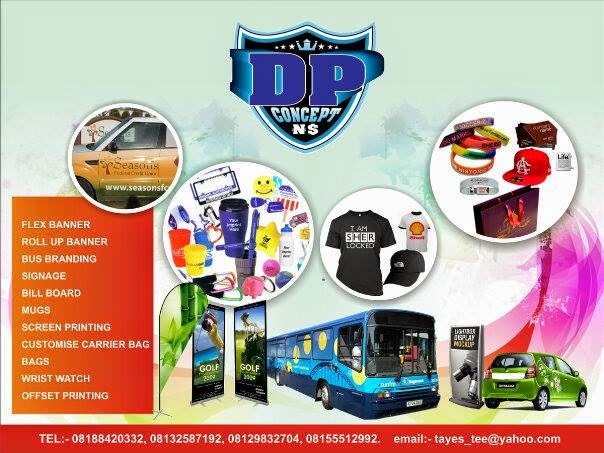 Arguably the only anniversary in Nigeria that runs a loaded eight-day package at multiple venues, the throng of revelers continue to multiply even as more participants and specialized features are added to the fare. In its 17th edition, Felabration 2014 was particularly challenging to its team of organisers led by distinguished architect, Theo Lawson. The scourge of the Ebola Virus Disease that hit the country led to the cancellation of the schools debate – an important intellectual component – that could not be realized because the school calendar across the country was moderated. An apparent possibility that stared the organisers in the face was whether to cancel the entire celebration. Many sponsors developed cold feet, not sure if to go ahead or not. As signs emerged that the disease was being kept in check, the Felabration committee continued its work. This year, the celebration opened with an unexpected item – a documentary movie – apparently bankrolled from the source that championed FELA! The Broadway Show. The film made a one-stop at the New Afrikan Shrine to kick off the celebration last Sunday and even though Yeni, Fela’s eldest child, made public the reservation of the owners of the film about her insistence to keep the gate fee at N500; to keep faith with the commons who idolise Fela. They turned out in large number to see the film-Finding Fela. The film was not the only novelty this year. A group of students from the University of Lagos led by one of their teachers made a special presentation. They staged the play, Fela: Son of Kuti, at the Freedom Park, one of the venues for Felabration which usually takes on a life of its own. Freedom Park was a beehive during the Felabration week. With its distinct programme including a Fela Dance, Out dance contest, in which the winners won a N30,000 cash prize and a promise from Lawson to take them on a global contest next year in a Caribbean nation. Over the years, Freedom Park has remained home for reggae musicians. Anchored by Raheem Agoro, a special night for reggae music buffs has become one of the mainstays of the Felabration week at Freedom Park. More and more a connection is being established between reagge music and afrobeat. In the history of Felabration there have been more reggae musicians taking centre-stage as headline artistes. Last year, it was Bob Marley’s son, Kymani. In 2014, another reggae great, Don Carlos, was the centre of attraction. Highlife music also has a day dedicated to it at Freedom Park. This year, there were troupes from Ghana and Benin Republic. Incidentally, Felabration coincided with Ade Bantu’s monthly gig, Afropolitan Vibes, which takes place at the Freedom Park on the Third Friday of the month. This edition featured highlife trumpeter, Etubom Rex William. Blind and in a wheel chair, William gave an amazing performance that was very much appreciated by the crowd. Throughout the Felabration week, Bola Browne, a DJ, made a good job of keeping the Fela spirit alive with a variety of music from artistes from all over the world who have interpreted a Fela song in their own way. On some of those nights, when the curtained closed at the Freedom Park, fans moved to the New Afrikan to continue the merrymaking. A measure of this total commitment to the Fela heritage was on the night of Friday, October 18. It was a rainy night. There were two large screen monitors, showing what was happening on stage inside the Shrine, but the fans stood in the rain on a queue that stretched over 1000 metres, waiting for an opportunity to enter a Shrine that was already jam-packed with no room to stand. The crowd could only be compared to teeming number that visit popular worship places like the RCCG Camp. This crowd too is attracted to a deity. They come to Felabration to worship the Nigerian god of music! Going by the increasing number of enthusiastic participants at Felabration, the organisers must start scouting for venue, to move the main concert away from the New Afrikan Shrine (NAS). The NAS has simply become the destination for the number of people willing to take part at Felabration. It is a mystery that so far no untoward incident has been recorded. One of the reasons for this being that the Shrine is not a completely sealed enclosure. Its side walls are not built to the ceiling, leaving ample space for ventilation. The organizing committee must be commended for giving premium attention to security. Even though cars were parked far away in the adjoining streets, the ‘Shrine Police’ covered the entire area, keeping an eagle eye on vehicles and keeping trouble makers at bay. Their efforts were complemented by teams from Nigeria Police and the Nigeria Security and Civil Defense Corps. The Felabration Week is normally awaited with a lot of positive expectation by traders of sundry wares. Producers of memorabilia like badges, caps, scarfs and T-shirts, books, DVDs and CDs, particularly those that bear Fela’s images can be found inside the Shrine and in the neighbourhood. Food and drink vendors struggle for space with vehicles, completely lining both sides of the NERDC Road where the Shrine is located. But Felabration is not all about merriment, there is a veritable intellectual content promoted through the Fela Debates and the secondary school debates. The 2014 Fela Debates held at NECA House, a walking distance from the NAS, under the chairmanship of Dr. Obiageli Ezekwesili. The issue on focus was ‘The Amalgamation of the Peoples of Niger Area’. One of the advertised speakers, Mallam Nasir Ahmad el-Rufai, could not make it. But the debate was no less stimulating with Professor Sophie Oluwole and Emeka Keazor as speakers. In the beginning, the debate was billed to feature the British Deputy High Commissioner to Nigeria. Unfortunately, he died at the Lagos airport before the event. The Kalakuta Museum (Fela’s former residence) was busy during the Felabration week with a photo exhibition by Photo Journalist, Femi Akintobi, titled, ‘Fela’s Courage in Troubled Times’. The exhibits were largely a pictorial chronicle of aftermath of the confrontation between Fela and soldiers that led to the burning of his house. Another exhibition at Kalakuta captured Fela’s dress sense. There were also some activities dedicated to Felabration at Terra Kulture, Victoria Island and National Museum, Onikan in Lagos. Every year, Felabration offers a platform to upcoming and established artistes who believe that once they can get a mark of appreciation from the critical crowd at the Shrine, they have a good thing going. The performances started on Monday, October 13 and continued every night till the last day, Sunday, October 19. This year, part of the Shrine was wearing a fresh coat of paint. And for the last day, a fee of N1,000 was charged for entry. The show opened with the Gangbe Brass Band from Benin Republic. Their trump card was the giant trombone on which the name of the band was written. Some of their percussion instruments were recognizable to the Nigerian crowd, particularly the talking drum. The band was made of the horn and percussion sections. 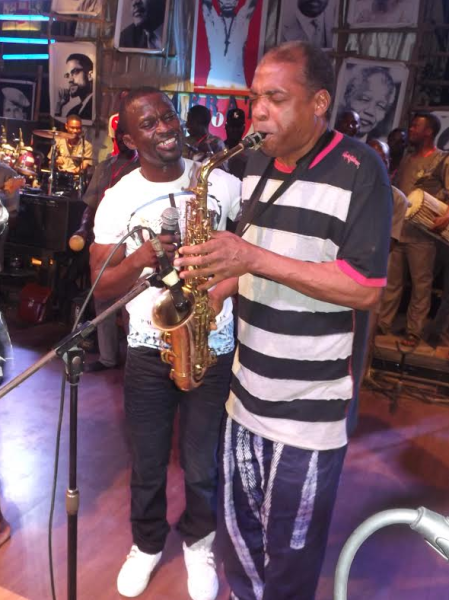 On their first track, Femi Kuti joined them, blowing on his saxophone. Then came the SP Acrobatics who blew the crowd away with amazing contortions and maneuvers. A string of upcoming artistes including Mischief, Ahidjo and Felatimo took the stage. Eda Otan who is building a growing followership presented his craft which is a blend of fast tempo Afro rock. One of the major sponsors, producers of Best liquer, put together a group that provided comic relief with their blend of dance, comedy and music. Adeniji the Heavywind is not new to the major concerts and he did not disappoint. Orezi could not have had anything less than the kind of rousing reception he got, afterall his hit song, ‘Shoki’ (which is one of Femi Kuti’s nicknames) was inspired on a visit to the Shrine. It was good to see Styl Plus. Their performance with Femi’s Positive Force Band sparked memories with songs like ‘Imagine That’ and ‘Olufunmi’. Weird Mc simply outdid herself. A little bit on the plumb side but she was full of energy, jumping and controlling the crowd. Of all the surprises of the closing night, the appearance of Isla Kauche, better known as Bob Fe (real name Olumide Bamgboye) had many reeling back in shock. Not sure of what to expect, he got a cautious reception, but his insistence to performance with Femi’s band did the magic. The Positive Force Band made a good job of covering the cracks in his performance and he ended his one-song show with a pass mark. Harrysong hit the stage with his reigning song, ‘Fine Girl’. Of course the corwd latched on to it. But there was no time before he brought on his friend, Kcee the Limpopo master, who is in a giving mood wherever he performs these days. Courtesy, one teenage, Hafiz who had earlier won some cash from Orezi went home with USD1,300. To herald the coming of main act for the night, I Man (Raymond Moses) came on stage to sing a few songs. He left the stage after condemning use of hard drugs and cigarette. But he praised the Nigerian ganja to high heavens. In between the change of artistes, DJ Stan kept the crowd alive with hot sounds. Sixty-two year old Don Carlos whose facial hair has turned grey mounted the stage in a black jacket with red stripes. On his neck was a muffler in Rastafarian colours of red, gold and green. Well into his second, he took off the jacket to reveal a black shirt crested with musical notes. He paused to pay tribute to Fela who he described as a true African champion and Afrobeat king. He said reggae and Afrobeat have a mutual link emphasized by the prevalence of drums. Describing Nigerians as his biggest fans, Carlos recalled that he sued to get a box load of mails from Nigeria in the 1980s. He apologized for not coming with his band, saying that he had wanted to come to Nigeria for a long time. In a 40-minute performance with Femi’s Positive Force Band, he endeared himself to the crowd when he did a fusion of reggae and Afrobeat. While doing a reggae vocal, the horn section of the band delivered Fela’s ‘Army Arrangement’. He left the stage singing, ‘Guess Who’s Coming to Dinner’.